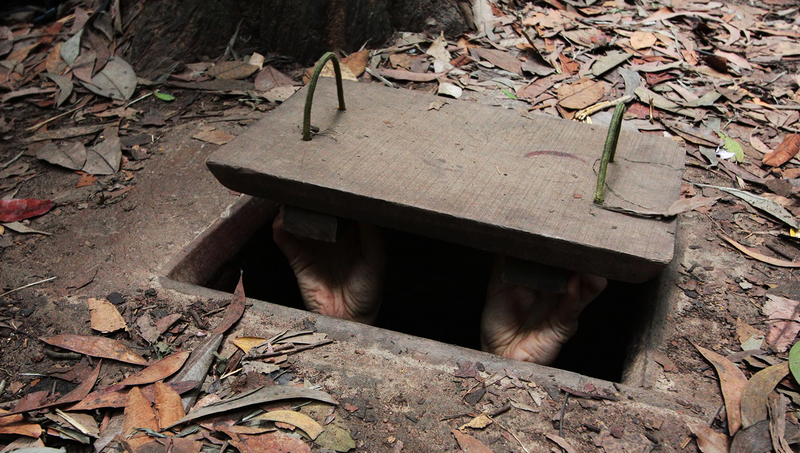 Explore the Cu Chi Tunnels used during the American War. Cruise along the Mekong River and small canals. Enjoy a local lunch with Vietnamese cuisine. This huge network of underground tunnels in Vietnam which has been presereved by the Vietnam government and has become a popular tourist destination as a war memorial. The tunnels were used by Viet Cong soldiers as hiding spots during the Vietnam war, and were a base of operations for the Vietnam army. What were the tunnels used for? 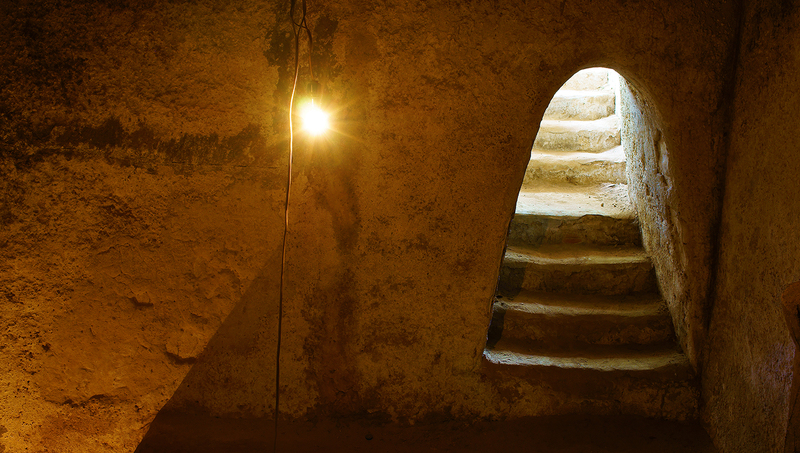 As well as an underground hiding spot, the tunnels were used to transfer communications, supplies, food and weapons. 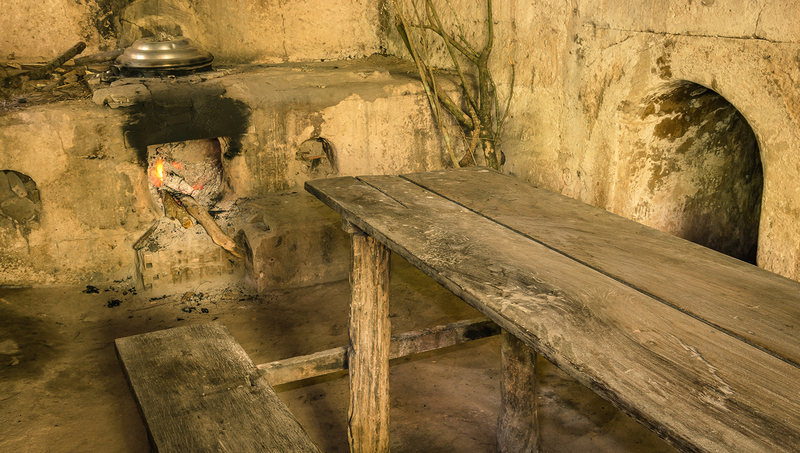 Viet Cong soldiers would also often live in the tunnels, sometimes remaining underground for days at a time. Life in the tunnels was not good. 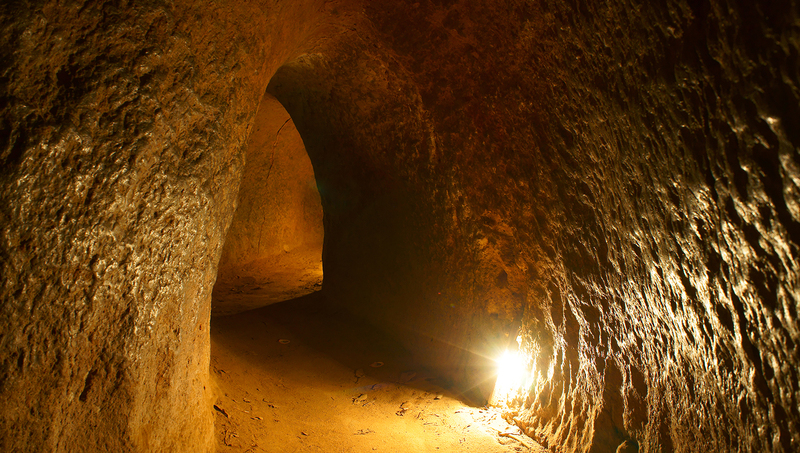 The tunnels were full of dangerous animals and insects, and food, water and air was scarce. A number of attempts were made by American bombers during the war to destroy the tunnels as they knew that the tunnels were a strong advantage for the Viet Cong. You can visit the tunnels throughout the year, however make sure to book a place on a tour in advance as they do get busy. You can choose from half or whole day visits. There is a bus from Cu Chi to Tay Ninh: Bus no. 70-1. From Cu Chi – Tay Ninh: Cu Chi station – Highway 22 – Trang Bang station – Highway 22 – – Go Dau Tay Ninh station. Tour times vary, with half day tours leaving twice a day, full day tours once a day. Ticket prices vary by company, so shop around! If you're not doing a tour, check private car/taxi prices from your location. A public bus can take 3 hours. One of the best tours ever! A must for all visitors to Ho Chi Minh! My tour guide (Sally) and driver were very punctual picking me up at my hotel. I however was late and they waited patiently for me. For the record, Sally was one of the friendliest and most knowledgeable guides I've had on any tour in the world. She made a great day even better! 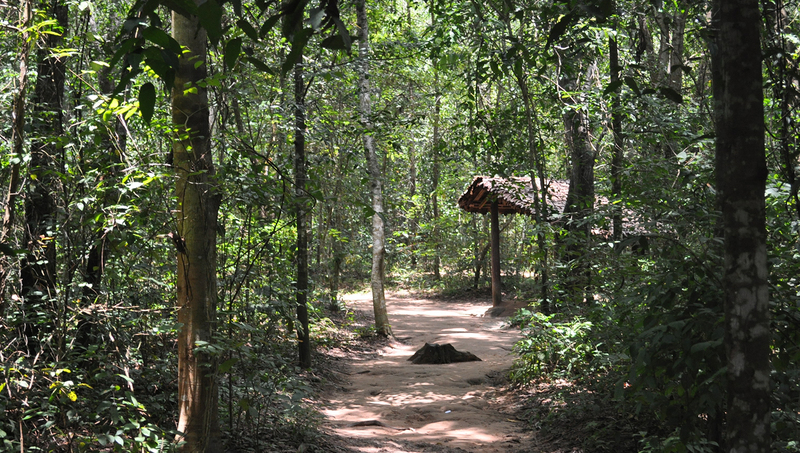 The facilities at Cu Chi tunnels are clean, safe and accessible. There are many exhibits and artifacts to see along the tour including multiple versions of tunnels, booby traps, a destroyed tank and artillery. There is also a live-fire gun range. Going into the tunnels themselves is not for the faint of heart! I thought I could make the full 100 meter journey but only lasted 20 meters. There is a small dining area along the trail with a variety of food and beverages for purchase. The tour is very thought provoking and guests should be respectful as it's an actual battle ground. I highly recommend this for people of all ages. I had a really great experience. Thank you very much. I really recommend this tour. It was possible to postpone the tour on the next day due to sickness without problems. Tourguide speaks perfectly english and it was very easy to follow him. A must do when you are in Ho chi Minh. Dont miss it. Long was knowledgeable and entertaining! Long did such a good job of keeping the ride interesting and educating us on how Vietnam was & is today as well as giving us an excellent tour of the Cu Chi Tunnels! We are so glad we went! One of the best days of my holiday and most of it was down to the tour guide. She was brilliant throughout the whole day.